With a rapidly expanding investment portfolio that attracted 26.2% of all Foreign Direct Investment (FDI) Projects for Africa in 2015 primarily in infrastructure development, oil and gas, telecommunications, financial services and consumer products, the potential risks and uncertainties inherent in doing business in fast growing economies such as East Africa cannot be overstated. Legal advisory services then become a vital component of any investment or business undertaking, because they temper market uncertainty; unknot complex domestic regulatory regimes, mitigate the impact of trade disputes, and ultimately increase profitability of the business enterprise. M/s. Shonubi. Musoke and Co. Advocates is one of the largest law firms in Uganda; and has since its founding in 1987 built a specialized practice with core capabilities in all fields of corporate and commercial law ranging from non-contentious transactional work to highly contentious complex litigation. We have established an impressive East African practice across our offices in Uganda and Burundi, maintaining market dominance in advising on Public Private Partnerships, Mergers and Acquisitions, telecommunications and real estate, intellectual property, labour relations, banking and project finance (including Islamic Banking); as well as energy, mining and infrastructure development. Service and reputation in these practice areas have earned the firm a diverse portfolio of clients, including: local and international financial institutions, international development agencies, Multi-National Corporations, Government parastatals, local and regional insurance companies, international airlines, as well as energy and oil companies, among others. first rate. They build and nurture their relationships with clients'. Chambers Global 2017. Our response to the globalization of business opportunity and legal risk has been the establishment of a trans-boundary firm through alliances with some of the world’s leading global law firms. 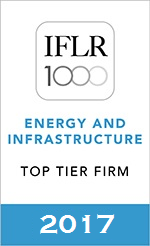 These alliances, enriched by transaction specific partnerships with law firms in countries as diverse as China, Singapore, United Kingdom, Germany and the United States of America, have fettled the firm’s expertise in tailoring global legal solutions to local issues, continuously earning it recognition as a Top Tier Law Firm by both IFLR1000 and Chambers & Partners. At Shonubi Musoke & Co. Advocates, we are driven by the desire to provide industry best practices, in the relentless pursuit of professional and business excellence for the benefit of our clients. With a multi-disciplinary legal team consisting of 25 Partners, Associates and Consultants; and access to the global resources of our alliance law firms, the diversity and depth of legal expertise that the firm has on offer is quite impressive. As one of the largest law firms in Uganda, we are able to provide our clients with end-to-end legal services, right from setting up of businesses, to ensuring regulatory compliance throughout the life of the business, and providing specialist advice on commercial transactions across the broad range of our practice areas. Through SM Registrars Limited, which is the firm’s corporate advisory and company secretarial practice, we deliver a variety of tailor made products to our corporate clientele, including Trustee services and in-house corporate governance training. With 30 years of service, the firm’s knowledge of the Ugandan legal landscape is unparalled; and continuously re-defined through inventive litigation, innovative commercial practice, thought leadership, and pioneering novel legal parameters. Practical instruction by some of the firm’s Partners at the country’s Post Graduate legal vocational institute has ensured that this knowledge is passed on to the country’s upcoming legal minds. We recognize that our clients require innovative products and services to enhance profitability and business advantage; and draw on our regional and global alliances to proffer out-of-the-box legal solutions that have earned the firm international recognition and acclaim.